While the traditional analytical tools that comprise basic business intelligence (BI) examine historical data, tools for advanced analytics focus on forecasting future events and behaviors, enabling businesses to conduct what-if analyses to predict the effects of potential changes in business strategies. Predictive analytics, data mining, big data analytics and machine learning are just some of the analytical categories that fall under the heading of advanced analytics. These technologies are widely used in industries including marketing, healthcare, risk management and economics. Advanced data analytics is being used across industries to predict future events. Marketing teams use it to predict the likelihood that certain web users will click on a link; healthcare providers use prescriptive analytics to identify patients who might benefit from a specific treatment; and cellular network providers use diagnostic analytics to predict potential network failures, enabling them to do preventative maintenance. Advanced analytics practices are becoming more widespread as enterprises continue to create new data at a rapid rate. Now that many organizations have access to large stores of data, or big data, they can apply predictive analytics techniques to understand their operations at a deeper level. The advanced analytics process involves mathematical approaches to interpreting data. Classical statistical methods, as well as newer, more machine-driven techniques, such as deep learning, are used to identify patterns, correlations and groupings in data sets. Based on these, users can make a prediction about future behavior, whether it is which group of web users is most likely to engage with an online ad or profit growth over the next quarter. In many cases, these complex predictive and prescriptive analyses require a highly skilled data scientist. These professionals have extensive training in mathematics; computer coding languages, like Python and the R language; and experience in a particular line of business. Advanced analytics has become more common during the era of big data. Predictive analytics models -- and, in particular, machine learning models -- require large amounts of training to identify patterns and correlations before they can make a prediction. The growing amount of data managed by enterprises today opens the door to these advanced analytics techniques. There are a variety of advanced analytics tools to choose from that offer different advantages based on the use case. They generally break down into two categories: open source and proprietary. Open source tools have become a go-to option for many data scientists doing machine learning and prescriptive analytics. They include programming languages, as well as computing environments, including Hadoop and Spark. Users typically say they like open source advanced analytics tools because they are generally inexpensive to operate, offer strong functionality and are backed by a user community that continually innovates the tools. On the proprietary side, vendors including Microsoft, IBM and the SAS Institute all offer advanced analytics tools. Most require a deep technical background and understanding of mathematical techniques. In recent years, however, a crop of self-service analytics tools has matured to make functionality more accessible to business users. 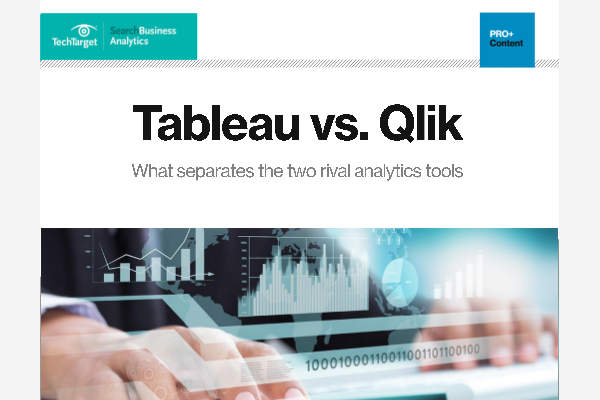 Tableau, in particular, has become a common tool. While its functionality is more limited than deeper technical tools, it does enable users to conduct cluster analyses and other advanced analyses. What do you think is most important to know when implementing advanced analytics software? "new tools and data visualization technologies have made predictive modeling more accessible to the average business user." .... More than you know! I remember the days of many SQL queries and Pivot Tables in Excel by hand!